We had some cold weather last week, so I made great progress on my little projects. I have three more blocks done. They were all quite complicated and many many pieces. I'm pleased to have them done. I haven't been able to find fabric similar to my background fabric, so the last three blocks may have to wait until I get home. 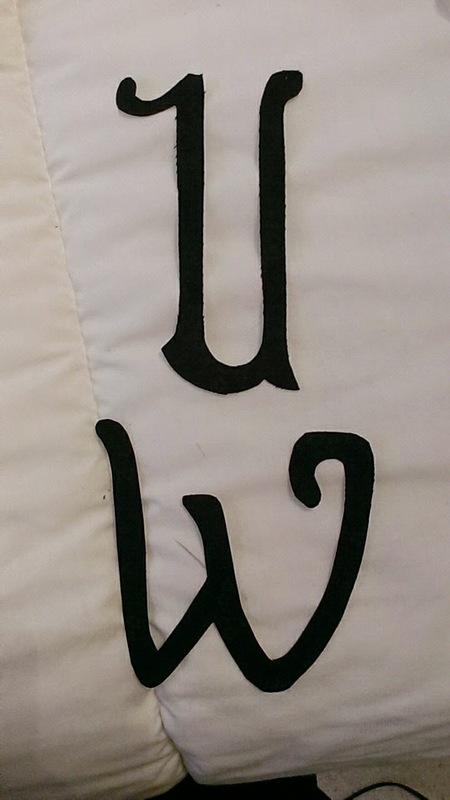 The applique will be done after the sash has been added. I really like this block. 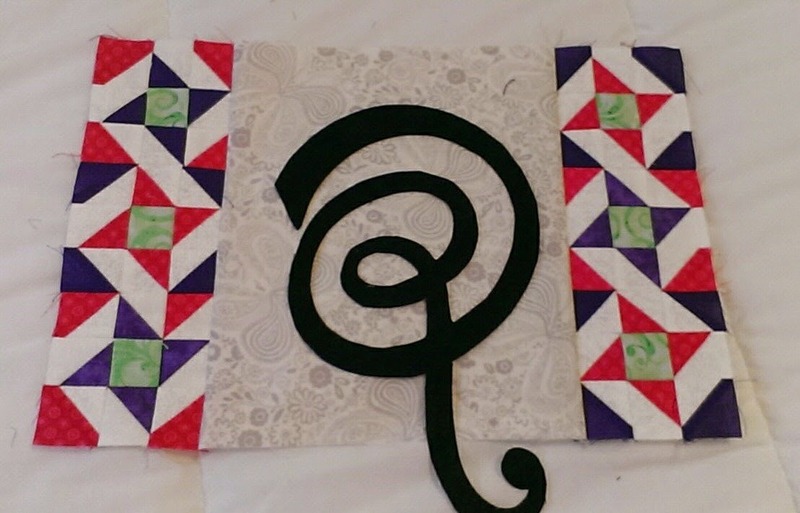 I did finish a wall hanging for our FQG Quilt show at the end of April though. I will show it to you after the show. Also I hemmed some pants this week for my friend Brenda. She's a shortie. She bought a fabulous pair of stretchy pants at the outlets a couple of weeks ago. I cut off two or three inches of the legs before I hemmed. It was too neat to throw out so I decided to make a new fitbit holder to replace my skin colored one. ( I wear my fitbit it on my ankle because it gives me a more accurate step reading. ) I'm considering making another for my other leg. Maybe I'll be a trend setter and everyone will want leg cuffs!! What do you think? I finished this sweet block just in time!! 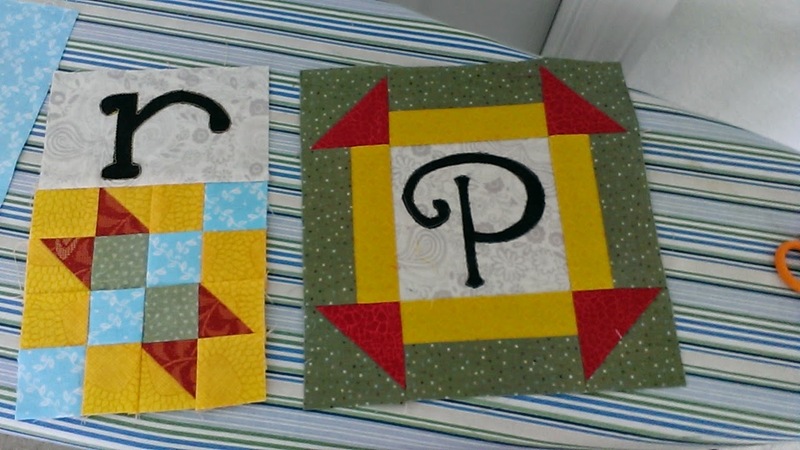 With the help of some cool weather, I finished the N, O and the Y blocks this week. The Y block will be in the 3rd section that has 10 blocks. I realized that I had all the blocks done for the middle section. So it was fun to sash them and put them together. 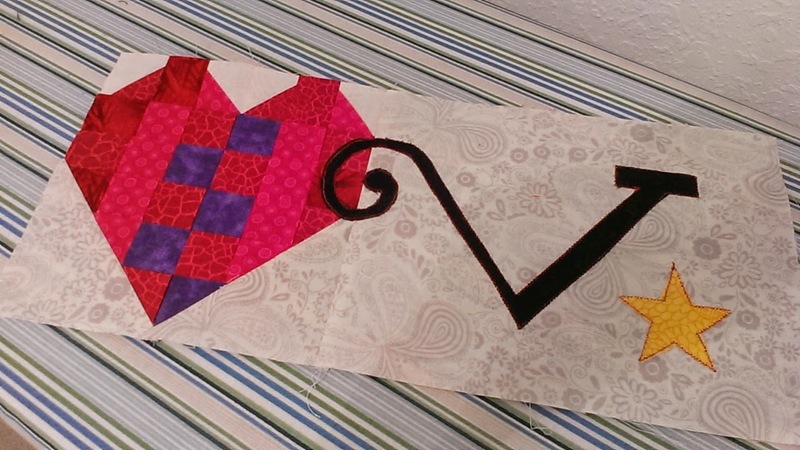 I haven't decided which blocks I will do this week, but definitely one of them will be the V block... since Valentines day is later this week. 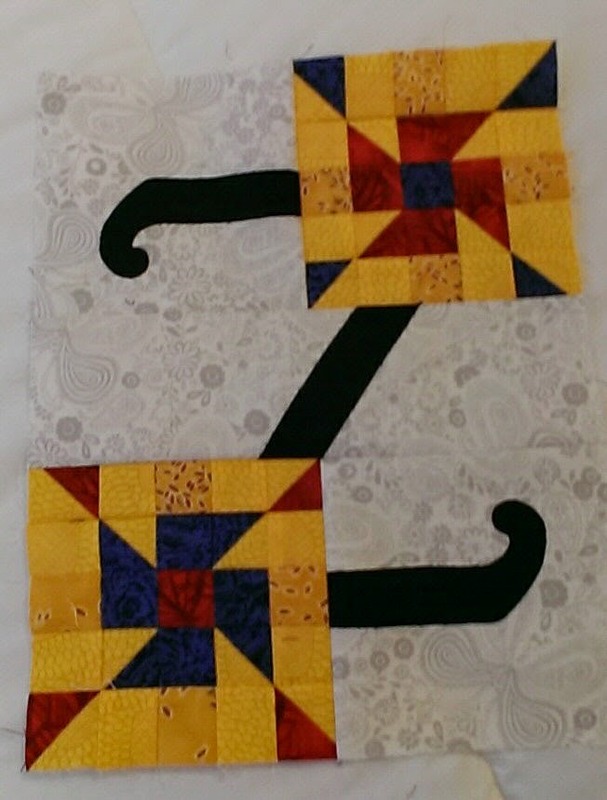 The middle section is all done of my A to Z quilt. Yes, those are my toes!! Some of you know I was away for most of last week. I was on a short 5-day cruise to Mexico. We had a lovely time. 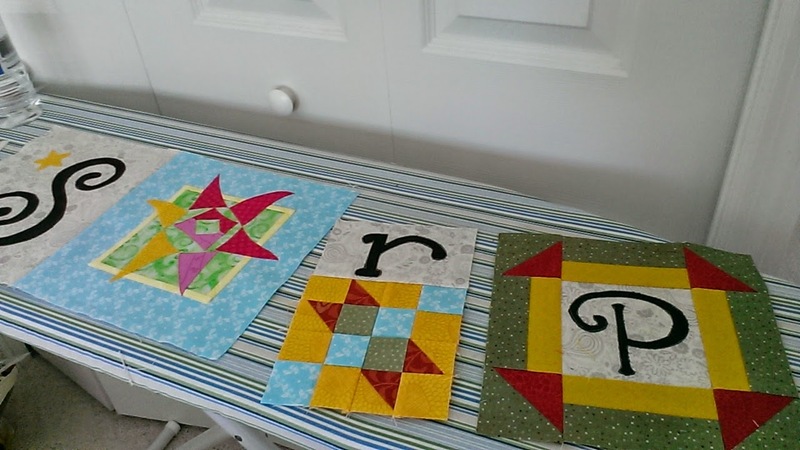 I worked hard to get most of these three blocks done before heading out. That left me with just the applique to do when I got home on the weekend and I'm glad to say the applique is done. 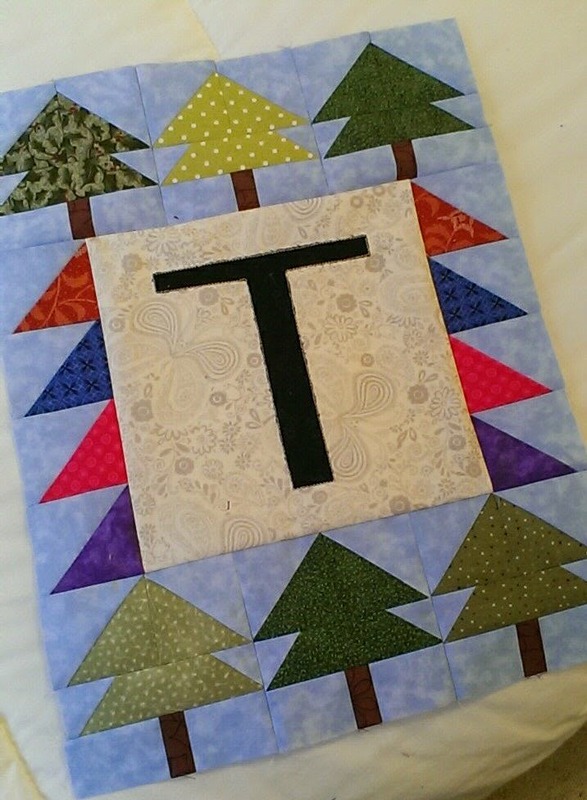 I love the sweet letters that are used in this quilt. All the letters are from different fonts. Now that I'm back, I'm pretty confident that I can finish the quilt. 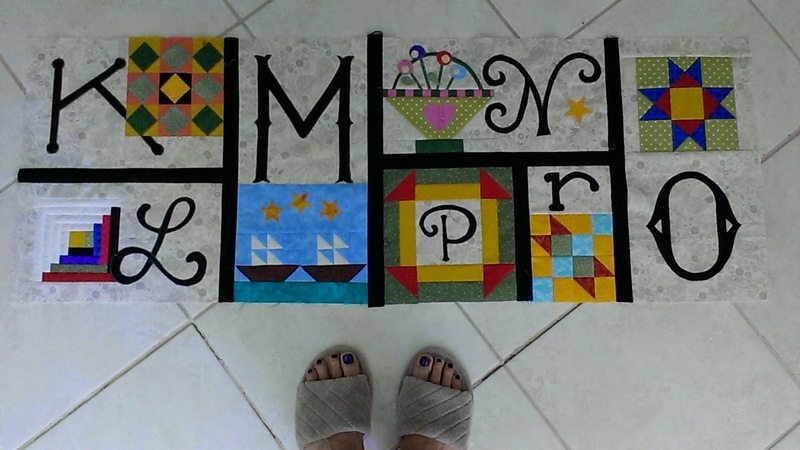 I'm going to try to do three blocks per week and have the blocks done by the end of February. That will leave March for the borders. The borders have a lot of detail. Drop by next week to see which three letters I get done.